Diageo, has announced that it has formally submitted its plans for its proposed flagship Johnnie Walker visitor centre in Edinburgh. 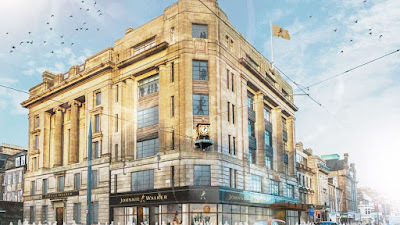 The planning application, jointly submitted by Diageo and the building owner Parabola, sets out proposals for a seven-floor visitor experience at 146 Princes Street in the Scottish capital, which is intended to be the focal point of Diageo’s £150 million investment in Scotch whisky tourism. The plans include a multi-sensory, immersive visitor experience across three floors, guiding people through the 200-year history of the brand, the art and science of whisky-making, and taking them on a journey through the flavours of Scotland. There will also be a flexible events space for staging music, theatre, arts and community events, making the venue part of the thriving cultural life of the city, along with roof-top bars with views of Edinburgh Castle and across the city skyline to east, west and north, with the intention of making it one of the world’s most extraordinary iconic hospitality destinations. The plans also include a bar academy that will be a home for Diageo’s award-winning Learning for Life programme, which creates training and employment opportunities in the hospitality industry for unemployed people, and works to improve hospitality standards and promotes the responsible serving and consumption of alcohol. The proposals also include the restoration of the building with its many heritage features preserved where possible and integrated into the new development. 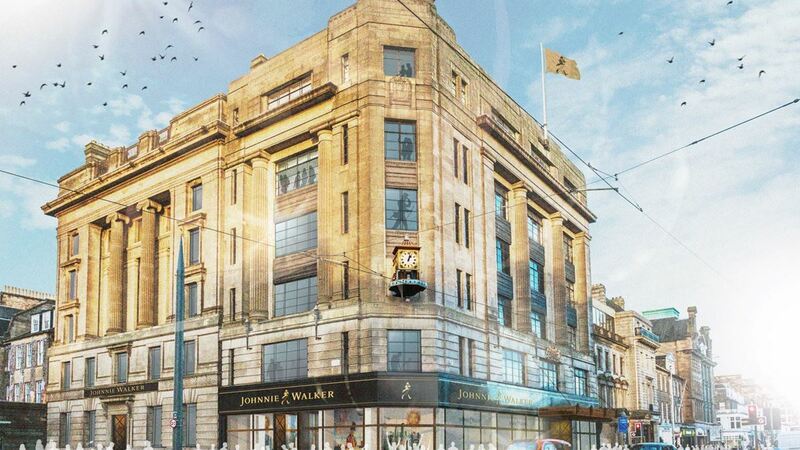 This will include restoring the famous clock on the corner of Princes Street and Hope Street.